May issue available online The new WSC is out now, available to order from the WSC shop . 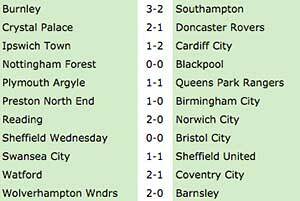 8 April ~ Aston Villa could be relegated this weekend if they fail to beat Bournemouth and Norwich better their result. 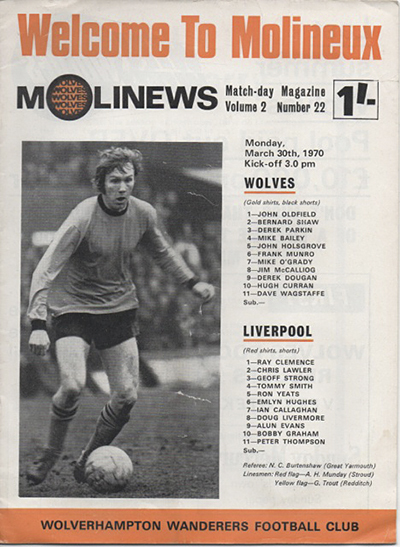 Division One 30 March ~ “Well, with the season almost over, how do I feel about the past few months?” asks Wolves’ manager Bill McGarry. Mansfield on the up as Reading field Death against struggling Scunthorpe 22 March ~ Happy times for Mansfield who had played one of two Friday night fixtures, a 3-2 win over Exeter. 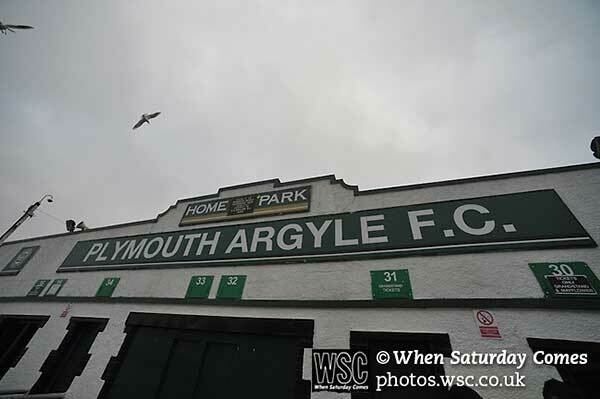 Every part of the club is in a mess 21 March ~ For several years now there has been a strong correlation between a Premier League club’s wage bill and their position in the table, with the two often matching almost exactly. 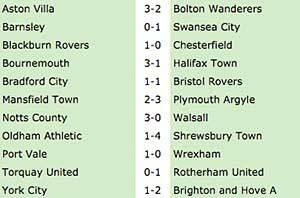 6 March ~ West Bromwich Albion’s match against Manchester United today is an excuse to look back at their Old Trafford clash in 1978. Plan to exclude smaller clubs from European Cup would remove all sense of competition 24 February ~ Dynamo Kiev have reached the semi-finals of both the Champions League and the old European Cup. 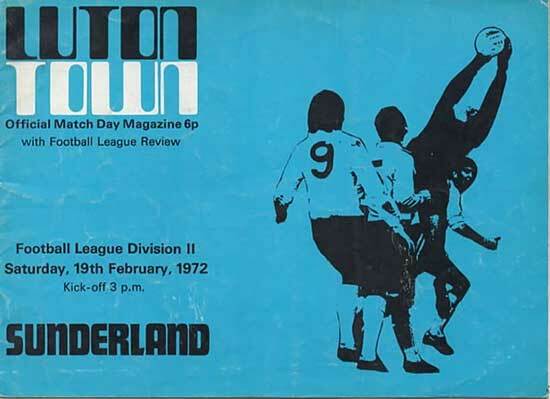 Division Two 19 February ~ Mid-table Luton greeted fifth-place Sunderland in a fixture that would be repeated just over 12 months later at Roker Park in the FA Cup quarter-final. 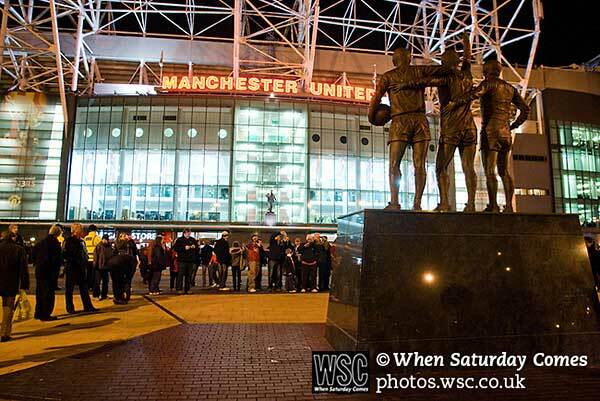 Old Trafford’s South Stand will now be renamed the Sir Bobby Charlton Stand 17 February ~ Manchester United recently announced that Old Trafford’s South Stand is to be renamed the Sir Bobby Charlton Stand. 13 February ~ With Wolves and Preston both are decidedly mid-table this season so not a huge amount rests on their match at Molineux today. 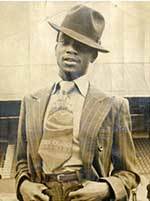 Ex-West Brom and Real Madrid striker was first black player to wear an England shirt 28 January ~ A crowd-funding campaign has been launched to produce the first biography of Laurie Cunningham. 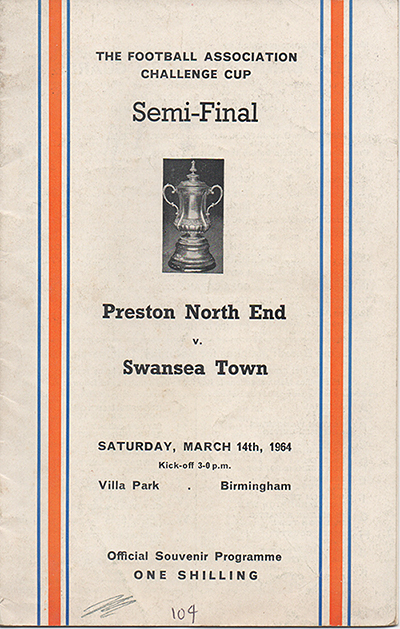 Howard Kendall’s team were having similar problems until their 1984 League Cup run 27 January ~ Once again Everton have an under-fire manager, unhappy crowd and pivotal-looking League Cup run. 16 January ~ Aston Villa go into their match with Leicester today looking to build on their first win since the opening day of the season and close the gap to safety. 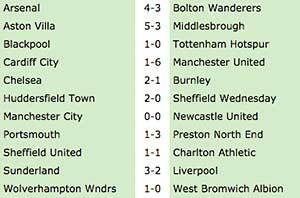 10 January ~ Tottenham’s FA Cup tie with Leicester this weekend is the 12th time the two team have been drawn together in the competition. A selection of WSC contributors give their opinions on the past year Best It may sound slightly odd but the sacking of Ian Holloway and the appointment of Neil Harris as his replacement was a highlight for many Millwall fans. 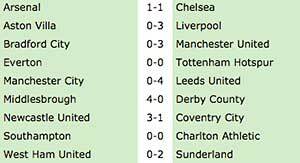 19 December ~ Norwich and Manchester United go into their match today with contrasting ambitions for the season. 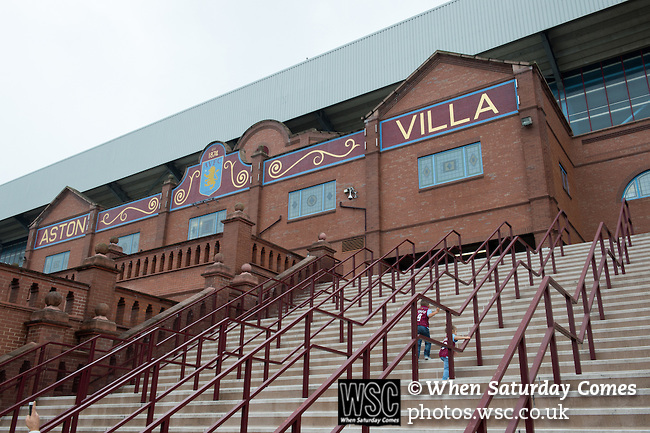 Aston Villa start their climb up the table, chasing Bournemouth and Notts County 18 December ~ Aston Villa made a moderate start to their second season in Division Three, which included home defeats by Mansfield and Rotherham. 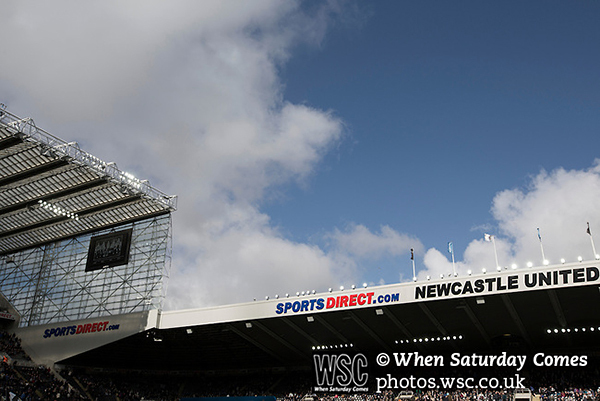 But Championship should stay wide open 11 December ~ Repeatedly, we Championship supporters hear of the new Premier League TV deal that arrives with 2016-17. January issue available online The new WSC is out now, dispatched on the day of order from the new WSC shop . 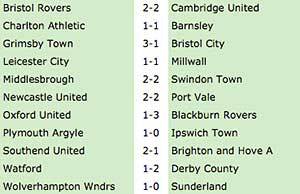 Cambridge lead the way but newly wealthy Blackburn give chase 7 December ~ Dion Dublin and John Taylor scored the goals in the 2-2 draw that kept Cambridge United top. Steve McClaren under pressure and defensive injuries aren’t helping 4 December ~ Sky must be rubbing their hands in glee. 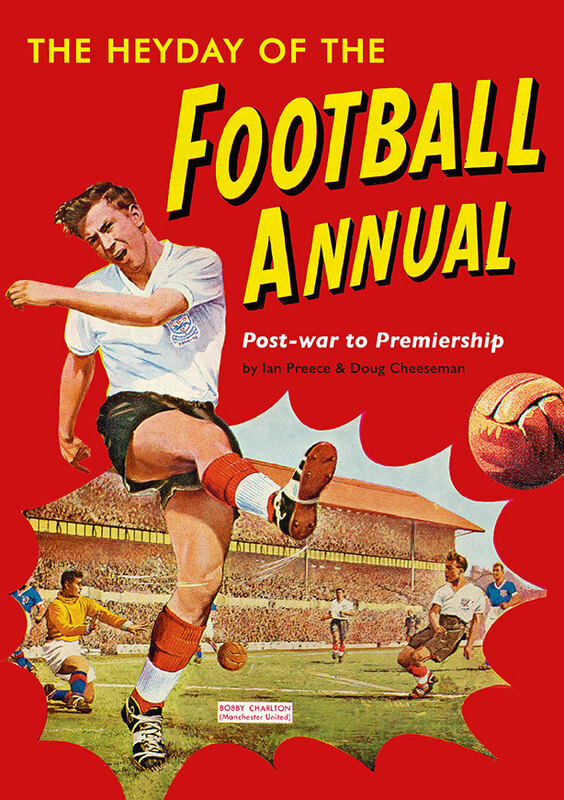 Lack of punishment in the 1950s was not down to players being less physical 1 December ~ On September 21, 1959 Aldershot hosted Gateshead in the fledgling Fourth Division. 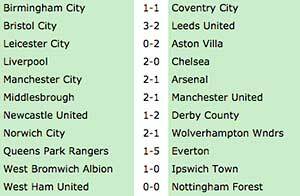 Arsenal beat Manchester United but Norwich storm ahead 28 November ~ With the decisive third goal scored by midfielder Daryl Sutch, Norwich inflicted Aston Villa’s first defeat in 13 games. December issue available online now The new WSC is out now, dispatched on the day of order from the brand new WSC shop . 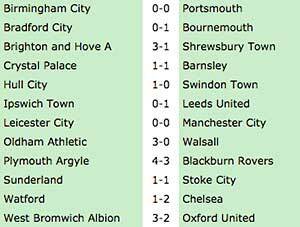 Chelsea’s record run begins while Walsall go the other way 5 November ~ Chelsea’s win was their second match in a club-record sequence of 27 games undefeated. Rémi Garde is set to take over as manager at Villa Park 2 November ~ This is Aston Villa’s sixth consecutive relegation fight and the hole now dug in the Premier League basement is a particularly deep one. Promotion hopefuls went head to head at the Baseball Ground 18 October ~ When they meet today Derby and Wolves will be striving to put pressure on those currently lying just above both clubs in the play-off positions. 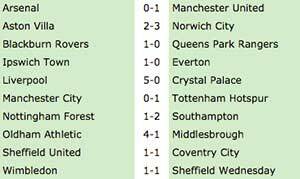 Nottingham Forest leave Liverpool trailing while Bob Latchford scores four for Everton 8 October ~ Newly promoted Nottingham Forest had gone top after a midweek defeat of Ipswich four days previously and never relinquished the position. But Peterborough fans already nervous about new manager Graham Westley 26 September ~ Aside fromArsène Wenger, there can’t be a safer manager’s job in English football than Phil Parkinson at League One Bradford City. 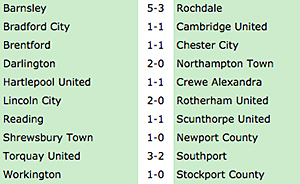 25 September ~ Sheffield United went on to become the fifth club to win the Championship and the first from Yorkshire. And the ones who surprisingly have but get less attention 16 September ~ During last month’s Europa League group stage draw, it jarred to hear talk of Basel potentially playing their first European final on their own ground. 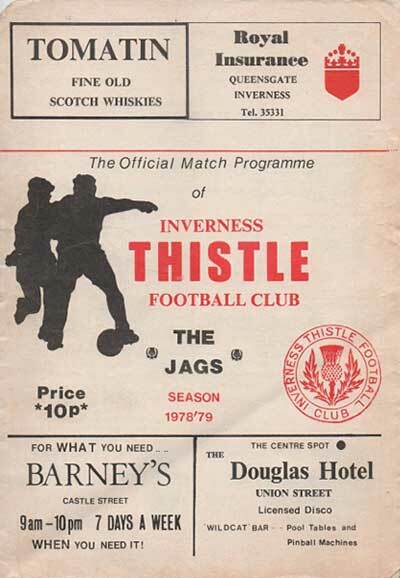 Football League Division One, 1975 5 September ~ This was the first top-flight meeting between the two clubs since 1966 “when we were both struggling at the wrong end of the First Division table”, notes the programme. Eagles feel at home in Premier League 16 August ~ After Crystal Palace’s season-opening win at Norwich Alan Pardew quipped that he was initially worried he might have picked the wrong team. Large squad and defensive frailties proving hard to address 15 August ~ After Sheffield United’s 4-0 defeat at Gillingham last Saturday, midfielderChris Basham said that the players “lacked heart”. Eddie Howe’s reshaped team take on Villa 8 August ~ Bournemouth fans are very positive about the new season as the team prepare for their first ever game in the top flight, against Aston Villa. August issue available online and in stores The new WSC is out now, available from all good newsagents or dispatched on the day of order from the WSC shop . Express Star reveal former Wolves player’s investments 25 June ~ The Express Star have revealed how a scheme run by former Wolves player Michael McIndoe is believed to have lost up to 100 footballers around £30 million. July issue available online The new WSC is out now, dispatched on the day of order from the WSC shop .